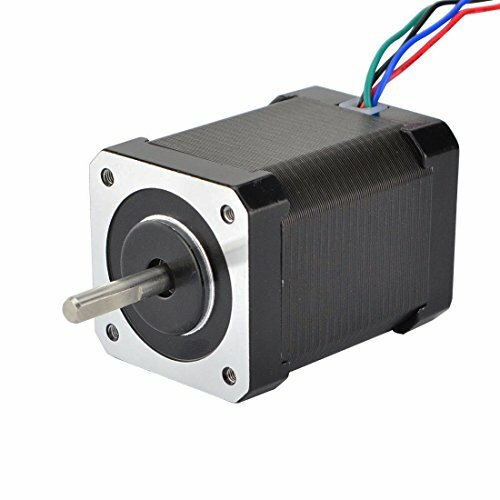 This is one of strongest bipolar Nema 17 stepper motor with 1.8 deg. step angle (200 steps/revolution). Each phase draws 2.1A, allowing for a holding torque up to 65Ncm(92oz.in). View More In 3D Printer Extruders. If you have any questions about this product by STEPPERONLINE, contact us by completing and submitting the form below. If you are looking for a specif part number, please include it with your message. [Gulfcoast Robotics] All Metal V6 Hotend 1.75mm Bowden Extruder for Prusa i3 Reprap 3D Printer. Deluxe Kit.